Moving and relocating is always an arduous task, juggling those necessary but boring jobs around everyday work commitments and family life. It doesn’t have to necessarily be as much as a struggle as you initially thought, all because of North London Removals. At our company, we can offer you an alternative to the usual removal hire options. 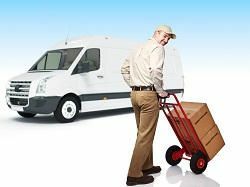 Our man and van services can provide you with an inexpensive, local and friendly removal service that is designed around what you require from a removal company on moving day. At North London Removals, we know what matters to our customers, and so we aim to provide every one of our clients with a quality man with van removal service time after time. All you need to do is check out the number of people we leave satisfied upon receiving our services and we will do everything that we can to ensure that you feel the same way. So, whatever your removal requirements may be, give our team a call on 020 3409 5593 to find out what we can do for you. We guarantee that you won’t be disappointed as we will do our upmost best to accommodate your every need in order to make this stressful period pass by a little bit easier. We differ from most removal companies in that our services aren’t just limited to one or two, but a whole range of top quality moving services. We aim to give you the entire package, so that you can avoid traipsing around trying to find one thing here and another thing there; instead, you will find everything that you could possibly require directly from us. We can provide services for both domestic and commercial removal needs and can provide packing services and more to help get your move underway. If you’re feeling hesitant or simply don’t know how to approach your move or to book a moving service, give our friendly team of representatives a call today on 020 3409 5593, and they will gladly talk you through everything that we have to offer. Whatever your requirements may be, whether it is house removals or office removals, our company will have your job covered. If you’re relocating into a new, bigger house or commercial premises, it may be an exciting time for you and everyone involved. Your excitement is inevitable and is the same for many people alike, but as is the case during a moving project, you soon realise there is far more to the task. If this sounds like something you are currently experiencing and if you have recently come to the realisation that you need some assistance during your move, we are truly the only man with van company for you. We have been championing quality removals for many years and pride ourselves on delivering our clients with a fantastic man with a van service on every occasion. To experience this quality for yourself and to utilise the full range of services that we are able to provide, give our team a call today on 020 3409 5593. At the end of the phone will be our friendly customer service representative, who can provide you with all the information you may need and will talk you through the booking process, making your moving project pass by with ease, because after all, it’s what we do.